Type the name of your university, college or high school. Skip several lines down and type your name, your course name and number, your instructor name and your paper due date. 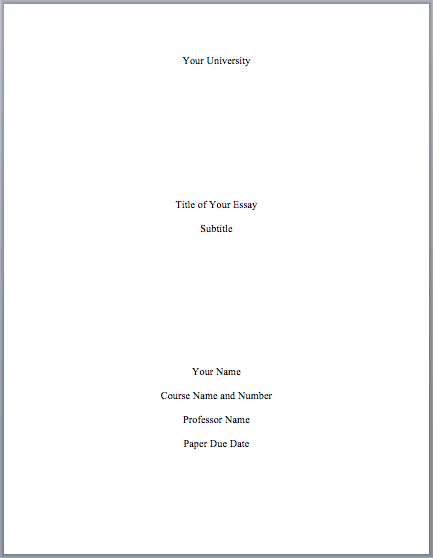 If your instructor requires a cover page, you would omit the main heading on your first page. Here is an example of the first page if a cover page is used. You still need your last name and page number on the first page and every other page. Thank you this was really helpful especially for the class im in now.